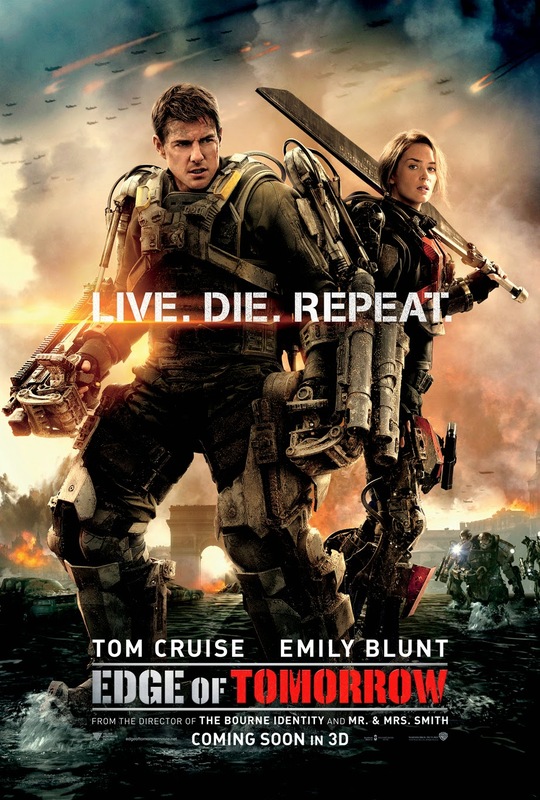 Warner Bros. and Village Roadshow have just unveiled the international main one-sheet art for Doug Liman's futuristic thriller “Edge of Tomorrow” starring Tom Cruise and Emily Blunt. The international cast also includes Bill Paxton (“Aliens,” HBO’s “Big Love”), Brendan Gleeson (“Harry Potter and the Deathly Hallows: Part 1”), Noah Taylor (“Lawless”), Kick Gurry (Australian TV’s “Tangle”), Dragomir Mrsic (“Snabba Cash II”), Charlotte Riley (“World Without End”), Jonas Armstrong (BBC TV’s “Robin Hood”), Franz Drameh (“Attack the Block”), Masayoshi Haneda (“Emperor”) and Tony Way (“The Girl with the Dragon Tattoo”). Liman is directing from a screenplay by Christopher McQuarrie and Jez Butterworth & John-Henry Butterworth, based on the novel entitled All You Need is Kill by Hiroshi Sakurazaka.